It was the dawn of the 80s, the Bee Gees and Chic were burning up the airwaves and Diana Ross was looking to turn her sound “upside down” after hanging around Studio 54. So she recruited the help of Chic members and disco Svengalis Nile Rodgers and Bernard Edwards to compose, play on and produce her next release. The result diana, was a musical awakening for Motown’s first lady. The lyrical themes were more personal and she finally got to exercise her lower register and show some street-sense. The behind-the-scenes saga of the album is well-tread territory, with Ross and the Motown team fearing the disco backlash and the album sounding dated upon its release. So in the eleventh hour, she turned to Motown’s house engineer, Russ Terrana (the man behind her Supremes and solo hits) to remix the entire album using alternate vocals and speeding up the tracks for a more “commercial mix”. The revised diana, her tenth studio album, was released – with a the iconic album cover on 22 May 1980 by Motown. It would become the best-selling album of her career, selling 9 million copies worldwide, peaking at No.2 on the Billboard 200 and generating three international hit singles, including the US No.1 hit ‘Upside Down’, the No.5 hit and LGBTQ anthem ‘I’m Coming Out’ and ‘My Old Piano” which hit No. 5 in the UK. After the original mix was released on CD in 2003, fans could finally enjoy both versions of the album, the smash hits they’ve loved for years and the more raw and experimental version as it was originally intended. “Our concept was to make it more avant-garde and their concept was to make it a little bit more accessible” said Nile Rodgers in the liner notes of the 2003 deluxe edition CD release. Now for the first time ever, diana– original Chic mix will make its debut on vinyl – double-LP pink vinyl at 45rpm to be exact – on 21 April 2017. The alternate-mix versions give a whole new flavour to Diana’s biggest hits, with extended play times and Rodger’s guitar mastery fully unleashed. A stark difference can be heard on tracks like ‘Tenderness’, ‘Friend To Friend’ and ‘Now That You’re Gone’. The massive success for Ross would be bittersweet for Motown, after Ross received a then-astounding $20 million record deal from RCA she couldn’t refuse. Ross would eventually return to Motown in 1989, but diana would forever stand as the calling card of her career. 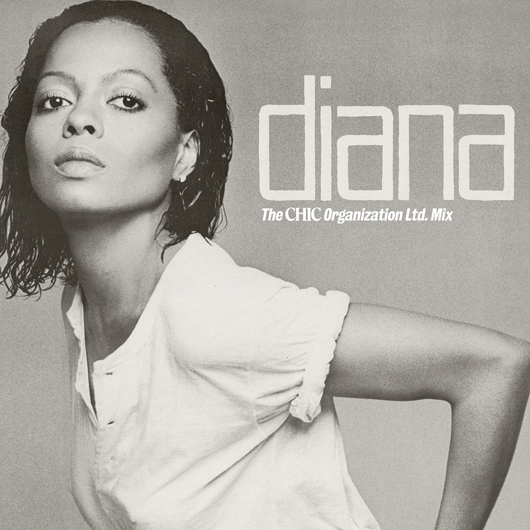 The diana – the original CHIC mix is due for release on 21 April in the US, and as part of Record Store Day around the world on 22 April. Scroll down to read the full tracklisting pre-order the album here.